Rock shelter on the old Naylor Ranch property, north of the Castaic Lake reservoir. 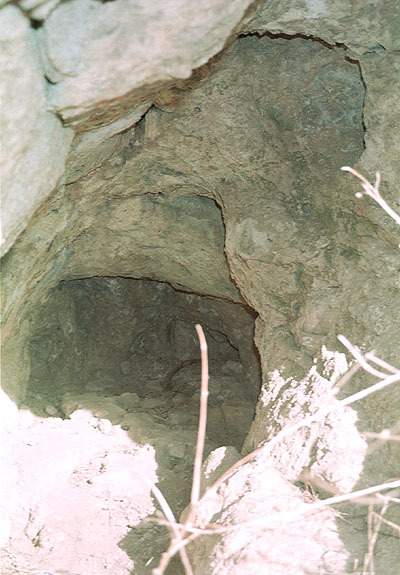 It may have been used by Tataviam hunters from Elderberry Canyon (now under the lake) as a temporary repository for supplies or as a respite from the elements during hunting trips. There appears to be some charring inside, possibly from man-made fire. Photo by Leon Worden, 2000.